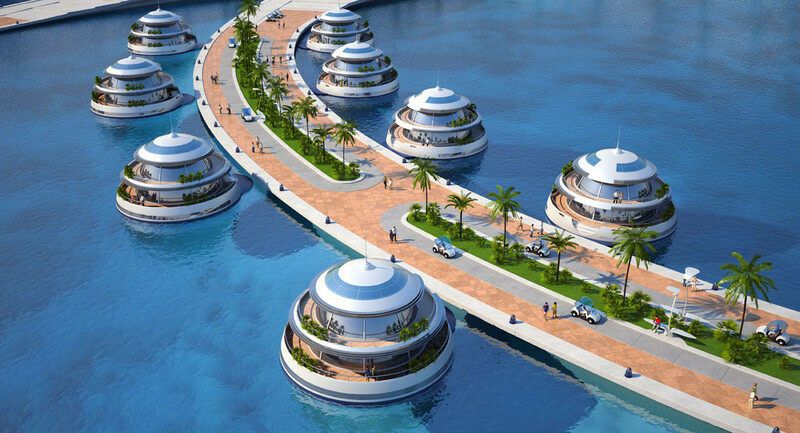 This innovative project is the first semisubmerged hotel resort called Amphibious, like a big aquatic animal stretching out from the land into the sea and extends horizontally for 1km thanks to two long wide arms. The project designed by Giancarlo Zema Design Group is composed of a land section and sea section. 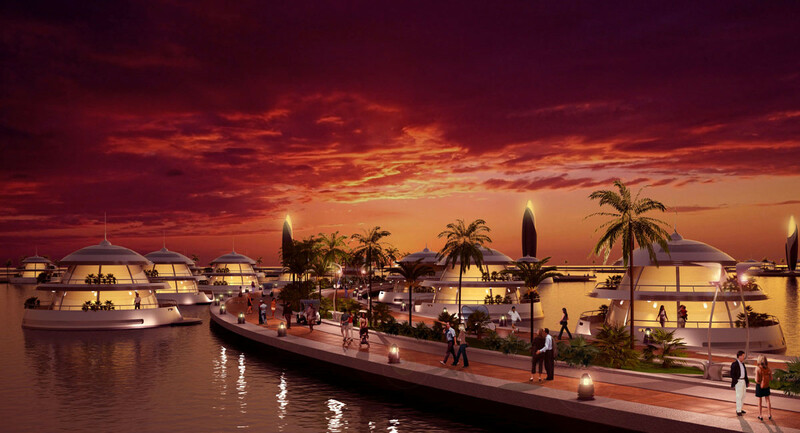 On the land area to be found residential buildings, office buildings and a marina with a modern and flexible harbour. All the structures are situated in a semi-circle around the tower with the panoramic restaurant. 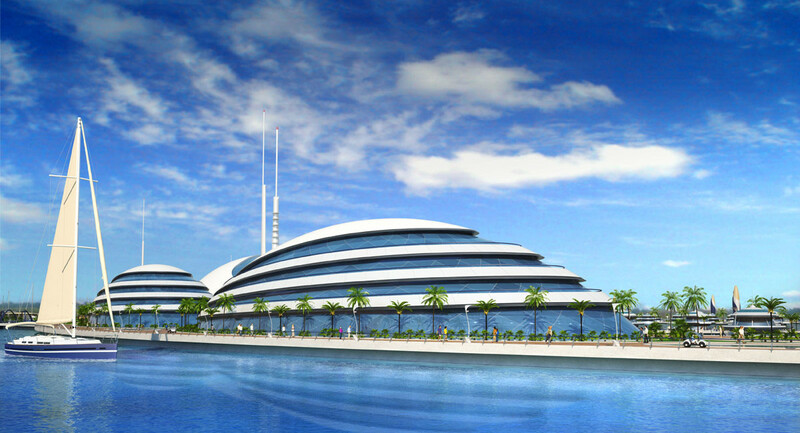 In the sea section there are four innovative semisubmerged hotels with underwater halls that give a fascinating views. The four hotels remind us of the soft lines of the superyachts anchored on land. Large diagonal glass windows make the hotels unique, each with 75 luxury suites arranged around the perimeter of the building so each has a big terrace that overlooks the complex. 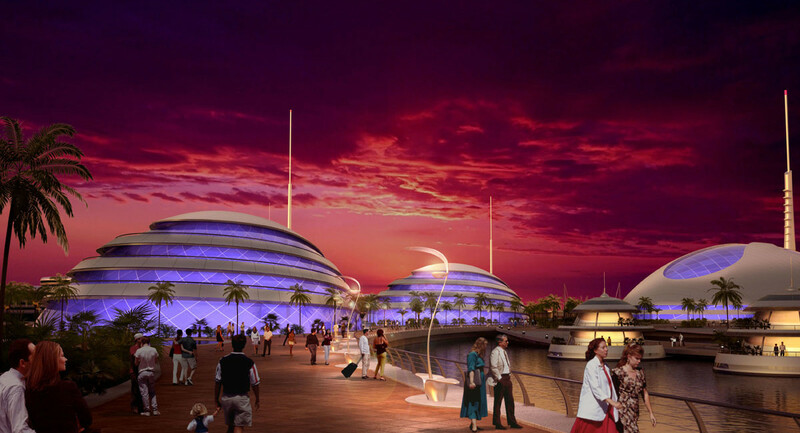 The activities of the hotel take place in the underwater area that is surrounded by acquariums. The hotels are situated around a central public welcome area that has an interactive museum on water life and water exhibition galleries, large perimetral aquariums and a glass tunnel, that leads to the underwater observatory in the centre of the whole marine park. Connected to the welcome area by the long arms are fitness areas, gardens and a special outdoor theatre with a moving stage that opens out on the sea. 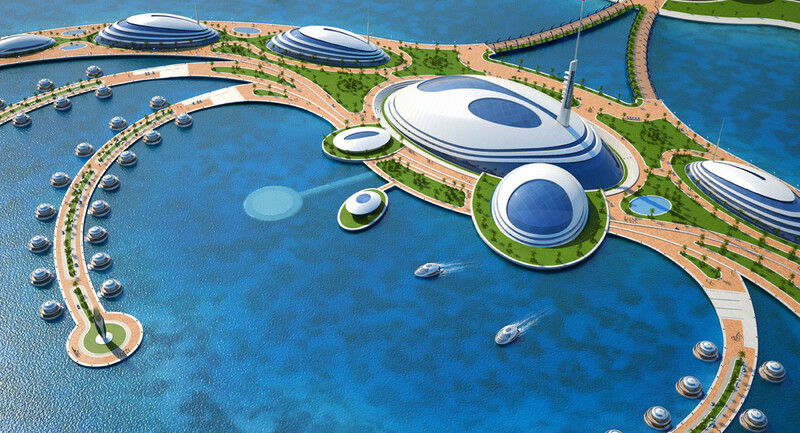 To the smaller floating platforms will be anchored 80 floating suites called Jelly-fish 45 with underwater views within the artificial reef. At the end of each platform of this incredible floating architecture are lighthouses. It is possible to move everywhere thanks to electrical vehicles that respect the eco-system philosophy. 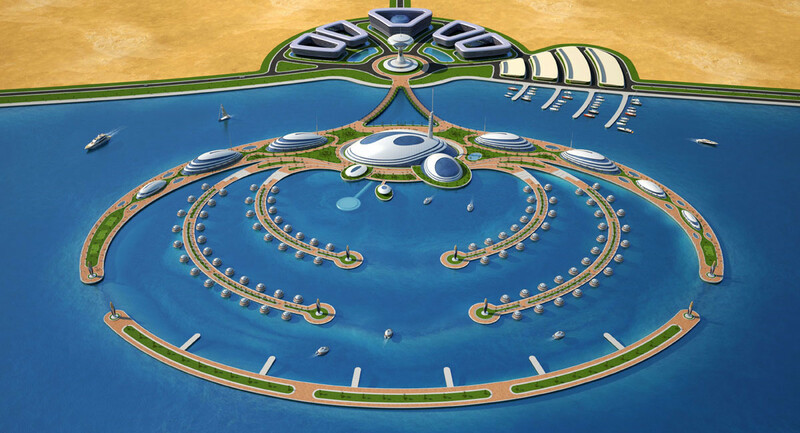 Water transport is also provided by 20 metre aluminium eco-yachts called Trilobis 65 that are equipped with hydrogen engines and an underwater observatory globe. The bridge that connects the land and sea section is limited with plants that give the idea of projecting the land flora into the sea. The main structure is in steel complete with all the necessary lighting systems and the floor is in teak.